Exclusive: Major U.S. Processors Say In-Store Transactions for Pays Wallets Remain Disappointing | NFC Times – Near Field Communication and all contactless technology. Apple Pay and other Pays wallets still only account for around 1% of total card transactions in the U.S. more than two and a half years after Apple Pay launched. The processors, like other market observers, see several problems the wallet providers have to overcome before in-store transactions could take off in the U.S., including the need for more merchants to accept contactless and NFC, a poor value proposition for consumers to tap their phones rather than swiping or inserting their cards and, more fundamentally, the need to change consumer behavior. Accomplishing the latter will be difficult for Apple Pay and rival Pays wallets Samsung Pay and Android Pay. 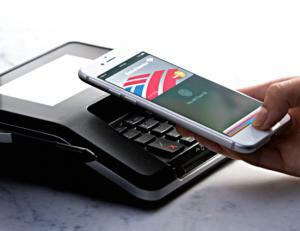 “There was a peak, when people first started using it (Apple Pay), and then it kind of flattened and hasn’t really increased,” Tony Rose, director of product, mobile and emerging payments for U.S.-based Vantiv, one of the largest processors of in-store credit and debit card transactions in the U.S., told NFC Times. “People try it, they’re even excited about it, but the habituation just isn’t there.